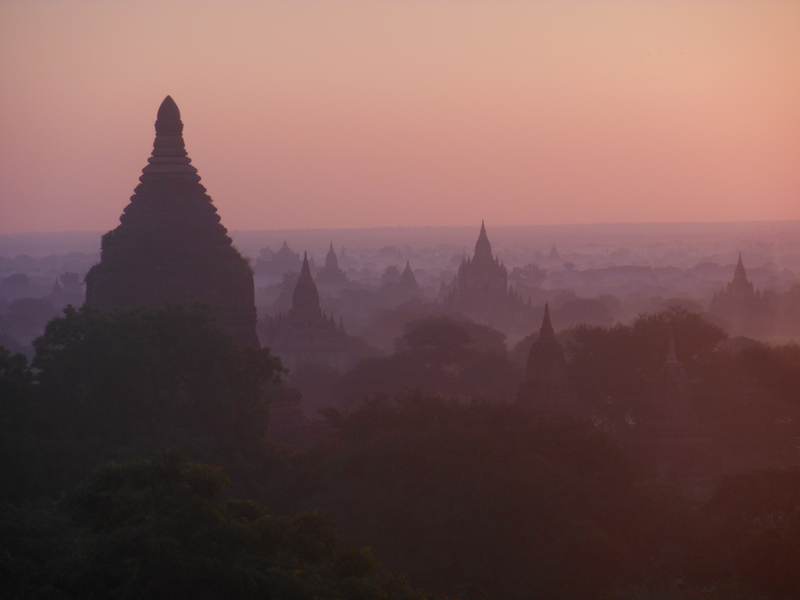 Burma was never originally in our travel itinerary. We were persuaded to go whilst eating $1 burgers in Sihanoukville, Cambodia, after one of the horrifying nights out in which we were all lucky to survive. Burma (Myanmar) was our last port of call before returning to the homeland: London. Half way through our journey through Burma, a local bus kicked us off at 4am in the middle of a dusty road just outside Bagan. Heavily dosed on valium, I was happy to lie down at the side of the road and go back to sleep, but the ever-wise Dave pointed out this was in fact a stupid idea. We checked ourselves into the only open guesthouse and allowed the valium to tuck us back in for the night. 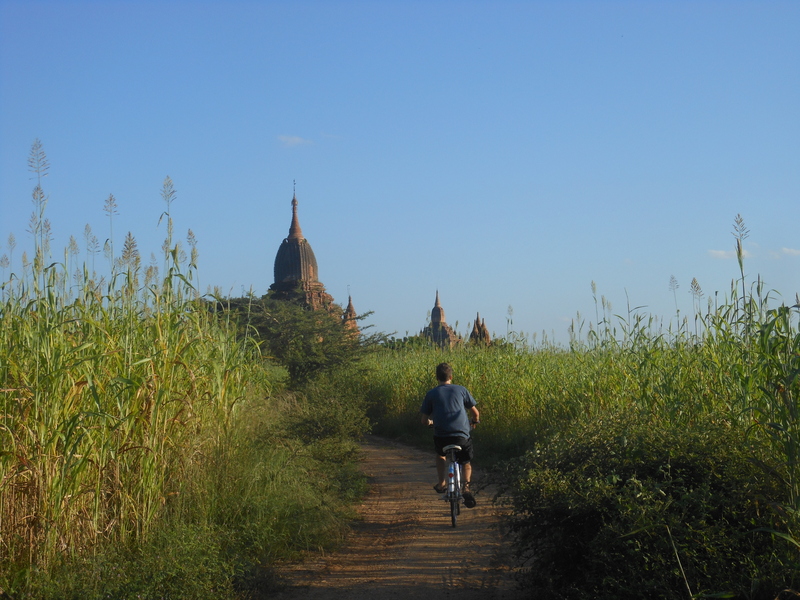 Next morning, we hired bicycles and rode towards Old Bagan. It’s an ancient city unrivalled in beauty – even including Angkor Wat. Think 2,000 temples dotted around a fertile plain dating back to the 11th century. Mega. There weren’t too many moments in Southeast Asia that we couldn’t take the piss out of, but this was one. Turning all mushy, it was just too beautiful to leave. What better way to never let the memory go than to stay there? We cycled back to the guesthouse and picked up a hoody, a torch and some biscuits. Thug life. The rest of the evening was spent back at temple kingdom. Our aimless cycling-admiring turned into cycling-reconnaissance as we attempted to find the best temple to sleep on. Not too big…not too small…but just right. The Goldilocks of Bagan. We found the perfect temple and set up camp in time for an awesome sunset. Sitting at the top of a 1,000-year old temple watching the sun go down over hundreds of other temples was quite something. Darkness settled as we gobbled our biscuits. The first star appeared, quickly followed by a million more, and the milky way too – pretty neat. 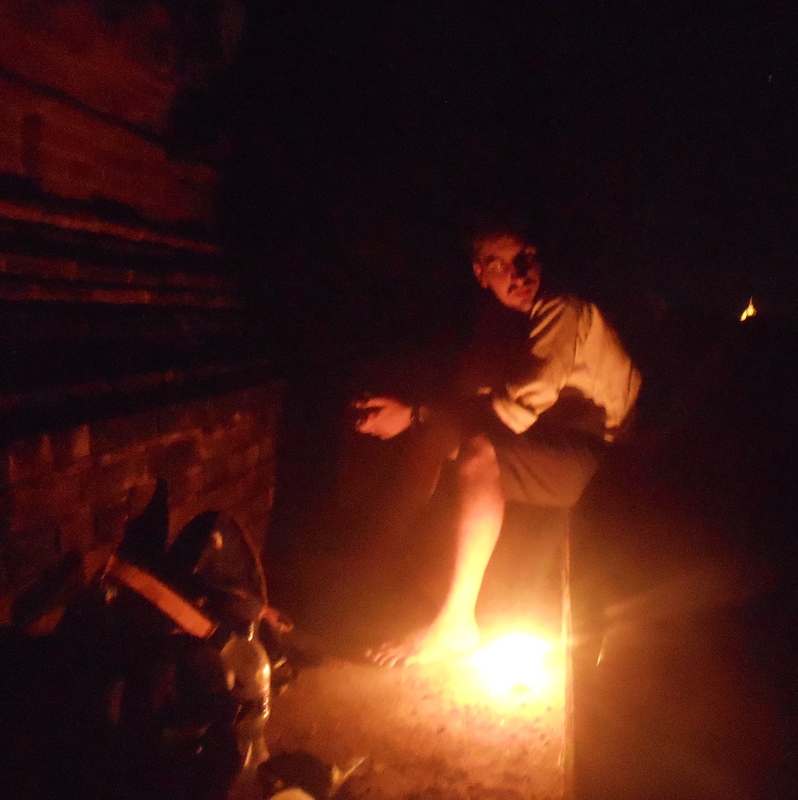 It was eerily quiet as we explored the temple in the dark – which was more scary than you might think. We climbed to the highest tier and back down again to check there were no ghosts and once satisfied, we kicked back and did some stargazing. But our adventures are never simple. In the distance, the sound of an engine rumbling could be heard. We sat up and saw headlights making their way towards us. We assumed we weren’t really supposed to be camping on the top of a temple, but there weren’t exactly any signs that read ‘No camping on top of a temple’, which was good enough for us. Suddenly, another pair of headlights appeared in the distance, following the same path towards us. Uh oh! We scrambled out of sight and hid behind the stupa, deciding on a course of action. We agreed to hide until caught – otherwise what was the point of all those years playing hide and seek as a child? The vans rolled up right outside our temple but we couldn’t see what was going on. We listened carefully for the sound of footsteps coming up the staircase as we skirted around the edges of the temple. Realising our bicycles were parked right outside the front of the temple, unlocked, we figured they were gone for good. Deal with that problem later. Burmese voices drifted towards us. Suddenly a flashlight came on which made spotting the men a lot easier – but if the light shone in our faces it would be game over, so we continued to hide. With our hearts beating as loud as war drums and the Burmese men right below us, we wondered why we hadn’t yet been found. Peeking over the side of the temple, we saw about a dozen people taking a variety of items out the vans. And two white people! What was going on?! Were we in big trouble? A generator had been started and a small stage. Now we were really confused. Unable to talk above a whisper, we stayed close in very confined quarters and ended up crawling over each other a few times. Bromance. We got the gist of what was happening. Our visitors weren’t actually there to see us at all – they didn’t even realise we were there. The two (presumably very rich) tourists were being treated to a special dinner and traditional dance, with the epic background of Bagan temples… and us. As we hid, the food smelt amazing and made our biscuit dinner look a bit meagre. As time passed, we gained confidence and began to watch – we were treated to a free traditional dance, complete with flutes and drums. We thought we wouldn’t be seen. We scrambled off in different directions and in doing so, my face got covered in more dust. I sneezed again. And again. Dave hissed for me to shut up from across the temple somewhere. We both hid in the shadows for the next hour, hoping for no more disasters. After an eternity passed, the performance ended and everything began to be packed back up. Presumably our bicycles with it, but we weren’t going to dare try and find out. Dave already snuck down and checked once earlier in the night so it was definitely my turn, but I was too much of a wimp. The vans rumbled away, leaving no trace of the event ever having taken place. I was duly clipped around the ear from Dave but we managed to giggle about it in the end. We called it a night and lay our heads to rest atop the open temple, gazing at the incredible starscape, while we mused on why we always found ourselves in strange situations. What happened next? Where were the bicycles? Did we wake up in time for sunrise? Dave will be writing part 2… stay tuned! 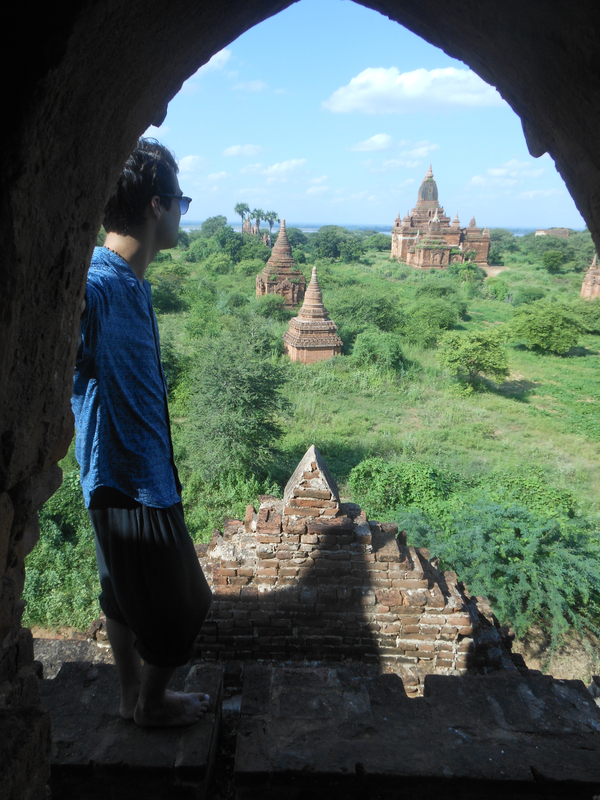 Hi Ronan, you guys really stayed overnight at a temple in Bagan? Amazing, I want to do the same. How was your camp look like? What did you prepare for camping? I haven’t tried camping before, guess that would be a good time. Yeah we did! It was an incredible experience. Our camp was… on the roof, using a lungi as a blanket. 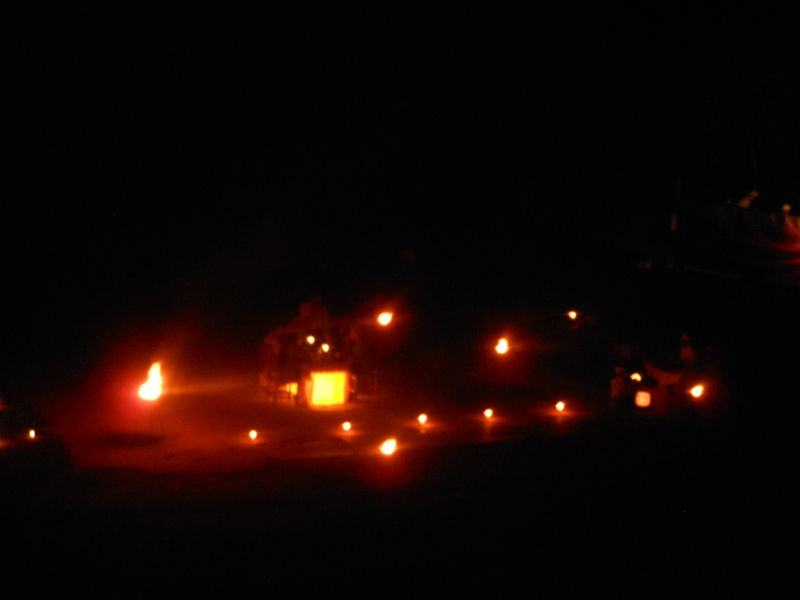 We didn’t take much – we slept rough rather than actually making a fire and having a tent etc. You would enjoy (proper) camping – it’s great fun!